Bizgear prides itself in working very closely with our customers to build up strong relationships to provide optimal results and ongoing management of their uniform requirements. We work very closely with our experienced team of embroiderers, screenprinters, designers and makers to ensure the best possible results. 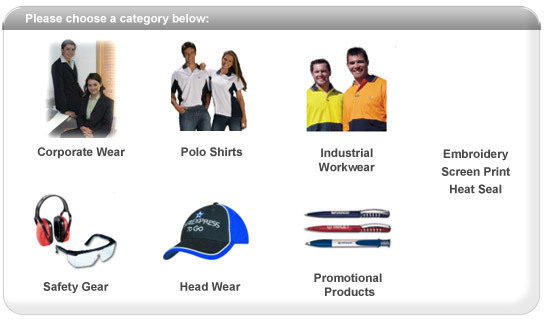 Where possible we provide Australian made garments to support local industry. For companies with 10 or more staff our representatives will organise a time to come to you. Bizgear was founded by Louise and Colin Bawden in the Sutherland Shire Sydney in 2001 as a home based business. In late 2009 moved its head office to Melbourne and has grown to include warehousing facilities with larger premises being investigated at the moment. Please contact us on 0401 218 081 for further information.